Everybody loves summer. The weather, the sunlight, the appearance of freedom from responsibility–summer is every child’s favorite season for a reason. However, for pet owners worldwide, the months leading up to summer can be hectic and stressful. No, I’m not talking about getting that coveted “beach body.” I’m talking about shedding. Coat blowing, to be specific. As with dogs and cats, potbelly pigs have a major shedding period in the spring and fall. Spring is often the most intense, so anticipate cleaning up a lot of hair. Pigs blow their winter coats in May and June to prepare for the summer heat, but those who live indoors tend to undergo smaller and more frequent shed cycles. Regardless of your pig’s shedding cycle, you can help expedite the process–all while fitting in some quality scratches and getting ahead on hair cleanup. There are several pig-specific brushes designed to work with your potbelly’s tough-but-delicate skin. 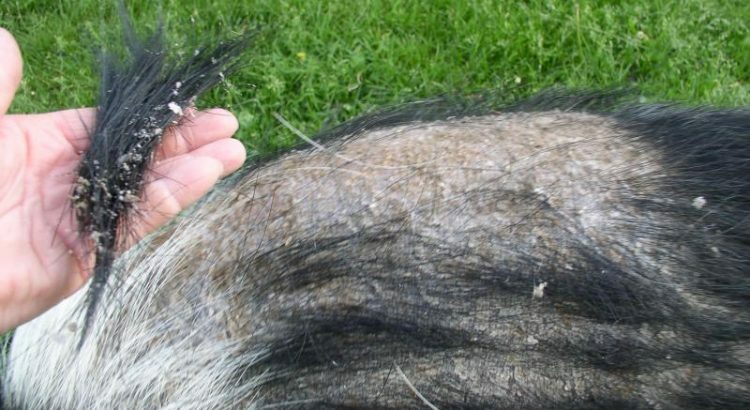 Pig owners can easily get ahead of the blow-out by spending a few minutes each day running a brush through the animal’s fur. From there, dump the fur straight into the trash–clean-up is a breeze when you think ahead! It is essential to remember that no two pigs are the same. Though one of your pigs may have already blown his coat, the other may take another month or two. If you are concerned about your animals’ shedding schedules, you have no reason to stress out. Several factors, including biological variation, can lead to differences in animals: indoor vs outdoor living, geographical temperatures, location, diet, stress levels, and the presence of family or herd members. Even an extremely healthy pig can be difficult to predict. Can My Pig Get Sunburned?